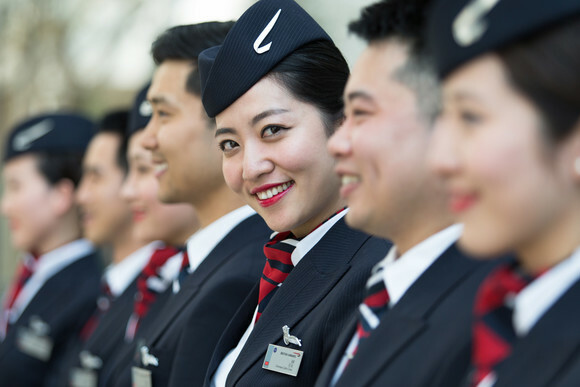 LONDON, UK, 2017-Dec-20 — /Travel PR News/ — British Airways customers are set to gain access to even more Chinese cities thanks to a new codeshare agreement with China Southern Airlines. As part of the new agreement, customers can book seats on China Southern Airlines flights to four destinations in China – Shenyang, Harbin, Changchun and Dalian. Seats are available for sale on ba.com, for travel from today. The agreement means that British Airways customers will now be able to visit the stunning Shenyang Imperial Palace, wander the winter wonderland that is Harbin Ice and Snow World, marvel at the Puppet Emperor’s Palace in Changchun, and explore Xinghai Square in Dalian. The four destinations are also important business hubs in China, making trade between British and Chinese businesses across the country even easier. Alex Cruz, chief executive of British Airways, said: “We are excited by today’s announcement, which will help to drive tourism and economic and cultural exchange between the UK and China, by facilitating reciprocal leisure and business travel. “Now we need the British government to take urgent action on its visa policy by making it easier for Chinese businesses and tourists to come to the UK. China is the world’s second largest economy and we need to do all we can to encourage these trade links. This is even more critical post Brexit. British Airways offers a number of unique services on its flights to China. These include tailored menus and Mandarin and Cantonese-speaking cabin crew. The airline also has a Mandarin and Cantonese-speaking customer relations team to help customers before or after they travel, and has recently launched Mandarin-speaking customer service teams at Heathrow Terminal 5, to help customers on their journey through the airport. China Southern Airlines operates the largest fleet, most developed route network and largest passenger capacity of any airline in The People’s Republic of China, devoted to providing a comfortable travel service. China Southern Airlines has formed an extensive network both throughout China and globally with Guangzhou, Beijing, Urumqi hubs. This entry was posted in Airlines, Airports, Flights, Travel, Travel Management, Travel Services, Travelers and tagged British Airways, China Southern Airlines, codeshare agreement. Bookmark the permalink.